Dental health statistics are troubling in the US, and its time to do something about it. It’s not about us or you, its about what we can do together. We set up pop-up dental events at workplaces and enable local dentists and hygienists to provide the much needed basic dental care that too many employees are neglecting. We fill your schedule and provide you with equipment and logistical support. In exchange, you pay us a fee per chair at a client near you. 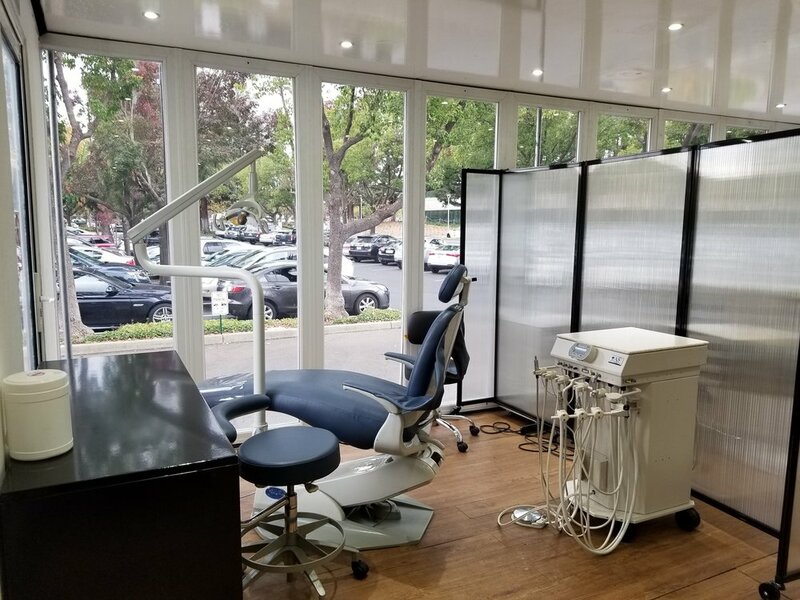 Each chair is priced at $750-$1200 (depending on demand and geography) and is expected to generate between $900-$1800 of income per day performing basic dental services (cleaning, whitening and x-rays). While we prefer that you send a hygienist if your state allows for remote supervision, you may send yourself or a dental associate. Hygienists in many states are able to provide services without the onsite presence of a dentist. These hygienists can act as practice extenders and funnel patients to your fixed location. Refer to your state practice act to see if this is possible for you. Income is GUARANTEED. If you make less than what you spent on your chair and staff, we reimburse you to ensure that you at least break even. Data shows that if you follow our customer service protocol, 20% of the patients you see at their workplace will successfully come to your local office for any advanced treatment needs. This could mean thousands in restorative treatments for your office. Roll up your sleeves and join the movement. We can help get you staffed to work at these events, or compensate you for rallying others! Part-time staffing pool: We’d love to work with you when we are in your area. Take a look at our client map below and see if you are nearby to any of these locations. We pay 1.1x your area average per hour. Commissioned Sales: If you refer a local dental practice (perhaps your own!) to work with us, you will get 10% of the chair rate we make the first two times we work with that office! You can essentially sit home, make calls and earn money by spreading the word and calling up all of your old employers! This business runs like a military operation - we go everywhere, and we need assistance getting there. If you are a responsible go-getter, these full-time roles may be for you! Open positions listed below, click to learn more.